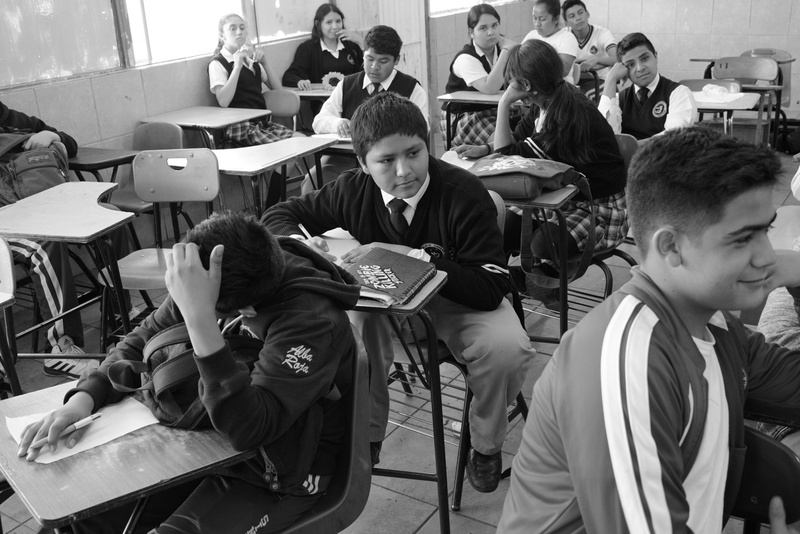 Alexander, 13, in Spanish class at Escuela Secundaria Sindicato Alba Roja. After his parents were deported, Alexander stayed with his grandmother in southern California for three years. But he came back to Tijuana he said, because “I felt lonely most of the time. My grandma worked a lot so I was feeling loneliness, so I came over here to be with my parents.